Honunity HU-CE-01B Solar Cleaning Kit B (i.e. High-pressure solar pole brush Kit) is a manual photovoltaic panel cleaning tool, consisting of a high pressure pump, a brush with a nozzle and a pole, Specially design for maintenance and cleaning of Solar photovoltaic systems Projects. Honunity HU-CE-01B Solar Cleaning Kit B (i.e. High-pressure solar pole brush Kit) is a manual photovoltaic panel cleaning tool, consisting of a high pressure pump, a brush with a nozzle and a pole. 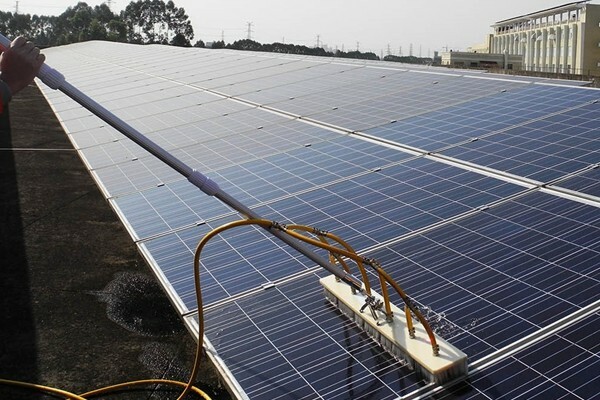 It is suitable for any site operation, is a low cost, high efficiency manual cleaning PV module tool. 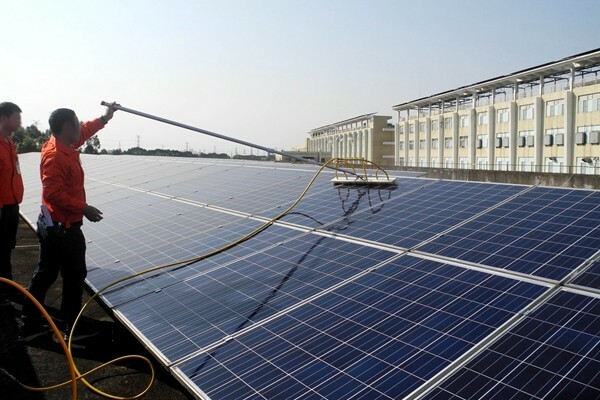 Whether it is a large photovoltaic plant, Household Solar Photovoltaic Power Generation, PV Power Plant for Agricultural Greenhouse, Commercial Roof Top PV System, Off-grid PV, Floating PV Power Plant for fishpond，you can use it to clean. High pressure Solar pole brush are a reliable and effective solution because of the complex terrain, or other conditions that can not be applied to other tools. It can also used for Concentrating Solar Power, Fresnel lens clean. It is suitable for professional cleaning company, and enterprises maintenance provide. The solar pole brush combined sprayed high press water ,Nylon bristles, Squeegee as one. It can replace the high-pressure water cannons. It can solve the high-pressure water cannons problems: that of wasting water, wash is not clean, and can not get reach far distance. It is a low cost, high efficiency manual cleaning PV module tool. and it is suitable for professional cleaning company, and PV enterprises maintenance supply. 1. Why Honunity HU-CE-01B Solar Cleaning Kit? Systems of all sizes can be cleaned with the aid of carbon fiber rod – available in lengths' of up to 10 m. The hose can be up to 100 m, and it means have a very large working area. For the inclined installation of the panels , the flexible connection allows the brush to always close to the panels surface. The flow rate of water is 10 L/min~16 L/min. Cleaned one megawatt of PV module panel will consumes 30~40 tons of water. This system is also compatible with many kind of pressure washers, with a water quantity of 600 - 1000 l/h, that meaning, existing pressure washers can usually be used to operate it. Because the system is modular, we can build a custom solution to fulfill any requirement. 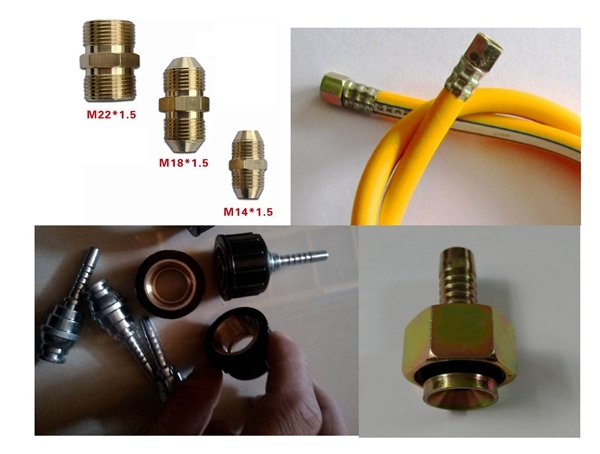 Various accessories and spare parts, such as connector, are easy to find. 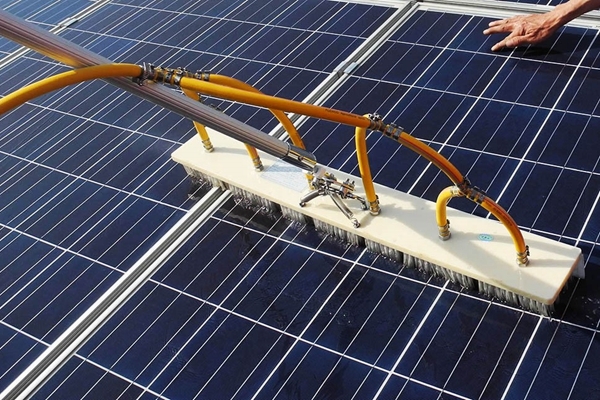 The water-driven professional cleaning device for photovoltaic systems has a closed gearbox, metal spray, soft nylon bristles, low working pressure. A more robust gearbox and high-end ball bearings ensure a longer life. HU-CE-01B Solar Cleaning Kit is a modular system that enables safe and efficient cleaning of solar and photovoltaic systems of any size. This system includes: High-pressure brushes that attach to Aluminum Telescopic Pole of various lengths and are supplied with water from a pressure washer. The brushes operate at low pressure – eliminating the risk of damage to the modules. 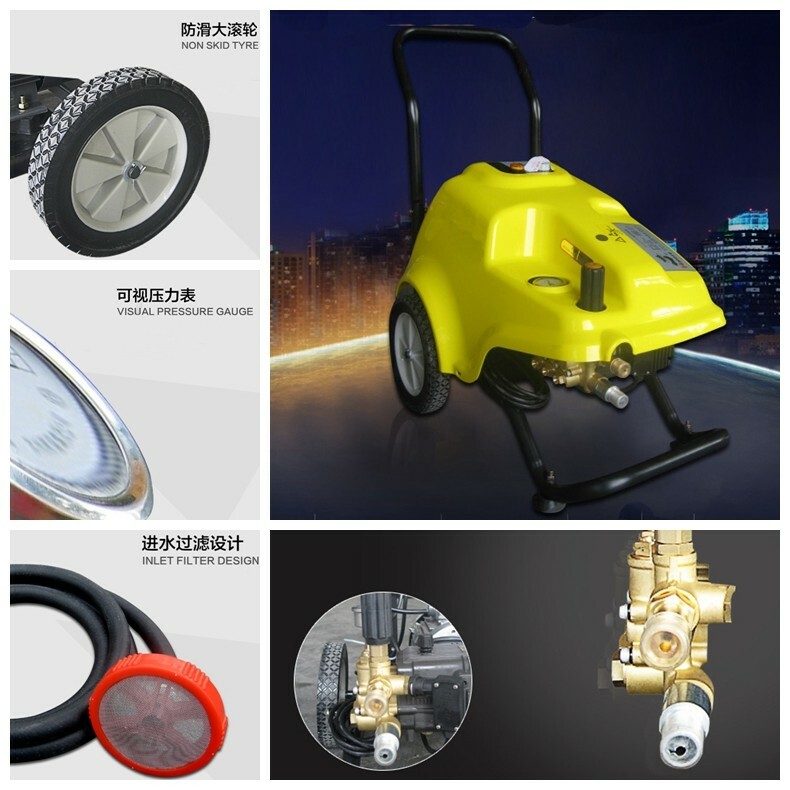 ①Nylon Dis Brush; ② Aluminum Telescopic Pole; ③High-pressure Hose; ④High-pressure Cleaner（High-pressure Pump); ⑤Spray Nozzle; ⑥Flexible Connection; ⑦ Ball Valve; ⑧Pressure Regulator； ⑨Water Outlet; ⑩Water Inlet; ⑪ Power Supply. 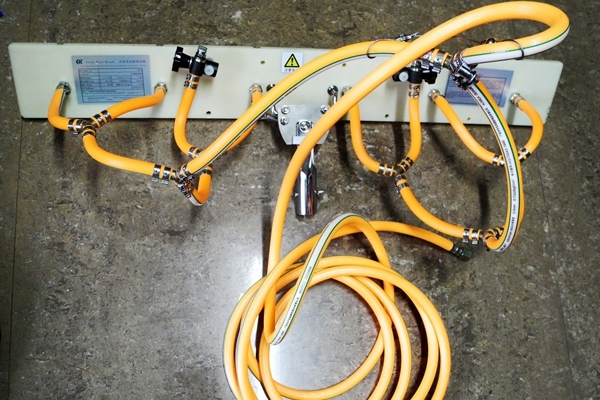 The water supply hoses is connected to the pump, which has a switch and can adjust the flow rate of the water. Water-driven brush have a high efficiency. A single person can wash more than 100~400 square meters per hour. Solar Pole Brush working with clean water. Water consumption can be adjusted by the Ball valve. 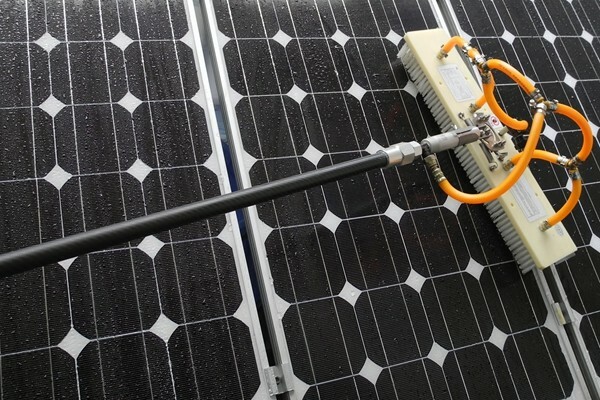 Cleaning one square meter panels, the average water consumption is only 4 to 6 liters. Clean one megawatt panels. Water consumption is about 25 to 40 tons. The use of softened water (deionizer water) can improve the cleaning effect and reduce water stains. The water-driven brush its service life is greater than 5 years. Continuous working time is more than 3000 hours. Can complete the cleaning area of more than 0.5 million square meters. Put the telescopic pole ② into the brush ① activities connector. Release nut fixed. Adjust the length of the telescopic pole，and lock the nut. 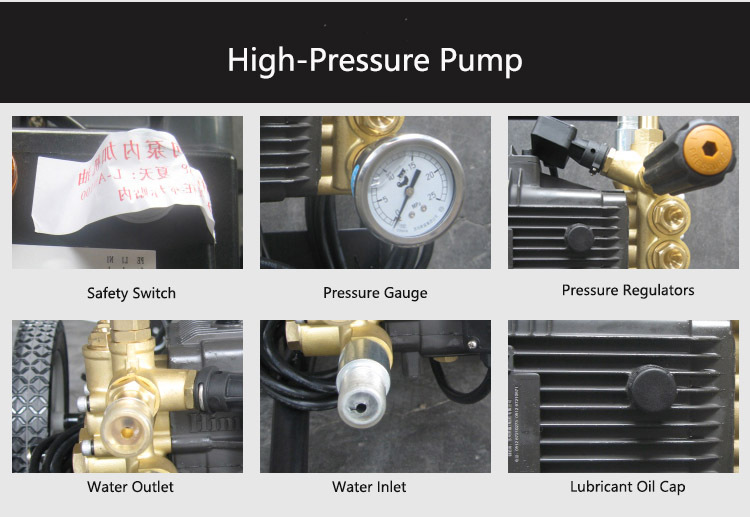 Adjust the pump pressure adjustment handle, to adjust the water's pressure. The spray nozzle at the side, it's angle and direction can be adjust by turning the hand wheel. In order to allow the brush to fit the panels surface, the brush and the pole has a spring. For different bevels and mounting heights, you can by changing the spring with different hardness to suit the panel surface. Used of cleaning agents, which can improve the cleaning efficiency. Make the dirty water flow out immediately, if not, after it dry, there is water-based stains on the glass surface, you can flush with water again and then washed again to solve the problem. You can also adjust the length of the Squeegee , or replace the different materials of the squeegee to improve the cleaning effect. By using longer water hoses to improve the efficiency, for some of the building, it is difficulty to transport the cleaner (high press pump) to the roof, then you can put the pump on the ground floor, through the hoses to the transport high pressure water to the roof. 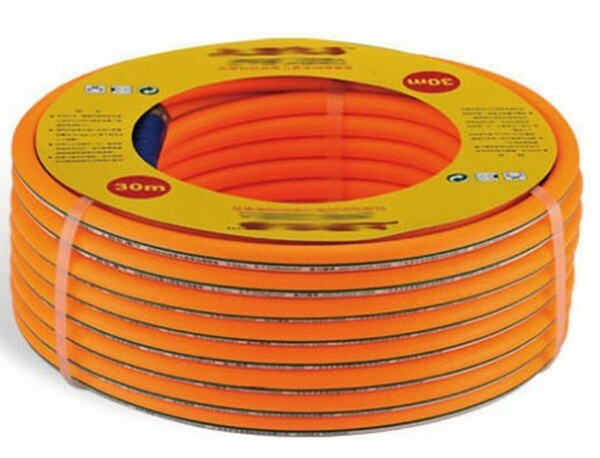 The length of the high pressure hoses can over 100 meters.